How Do You Become a Sacred Heart Sister? Generosity of heart, zealous love to serve, good common sense, and a sufficient degree of spiritual and emotional maturity. Good physical and mental health is essential. A candidate must be at least 17 years of age and have completed her high school education; our age limit for candidacy is 30 years of age. 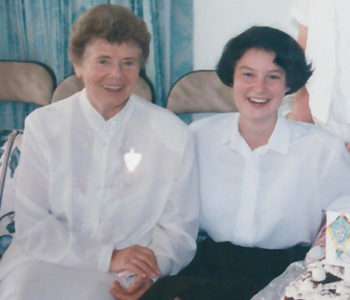 Postulants wear a brown skirt as they begin to experience religious life in our community. Postulancy (a period of 6 months) is a time in which the newly admitted candidate can come to recognize more clearly her response to Our Lord’s invitation, “Come, follow Me” (Jn. 1:43) and experience what religious life in our Society would ask of her. 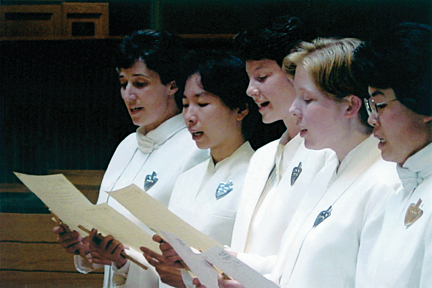 The clothing of novices is similar in color and style to the habit of the professed Sisters, but without the Sacred Heart badge. Novices receive a scapular that they wear externally as a sign of their desire to deepen in our life, and they receive the Constitutions of our Society to know and embrace the principles of our spiritual life and charism. The duration of the Novitiate in our Society is two years. During this time, the novices experience religious life as lived in our Society, and learn to adapt themselves wholeheartedly to it. 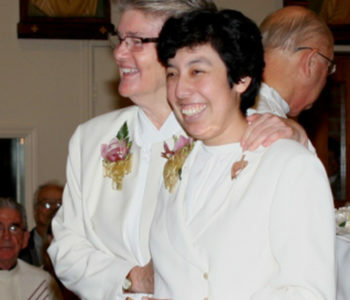 Guided by the Director of Novices and her Assistants, novices give evidence of their intention to live a life totally dedicated to God, spent in undivided love and faithful prayer. 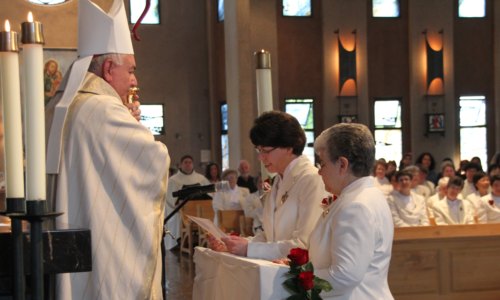 Professed Members received a badge of the Sacred Heart which they wear over their own hearts. During the years of temporary vows, we receive continued formation in our religious life and our apostolate. We are guided to prove that we are faithful and beloved servants of God by our purity, knowledge, patience and kindness, and by a spirit of holiness. The minimum number of years for temporary profession is six years and can be extended for another three years, if helpful. 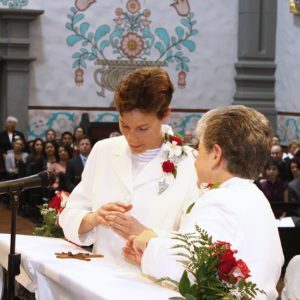 The wearing of a simple gold ring on our right hand signifies our vows to the Lord FOREVER. The year preceding perpetual profession is a year of serious spiritual preparation in our Society. During this year, we have opportunity to reflect on our sacred history with Our Lord and our place in the plan of God so that, united to Christ Our Lord, we may respond to Him through a life of love and service. 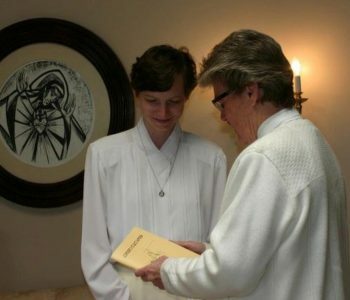 Would you like more information on a Religous Vocation? Click Here! "...trusting in Your infinite love and mercy, I vow chastity, poverty and obedience..."